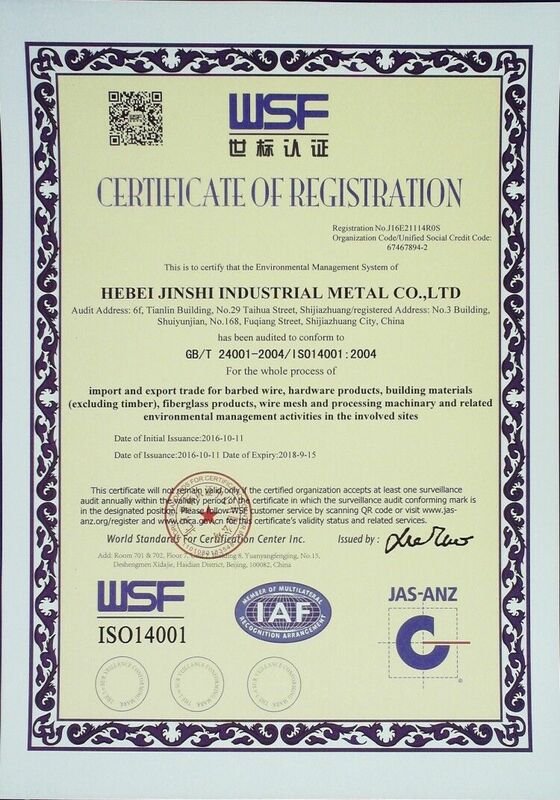 Company Overview - Hebei Jinshi Industrial Metal Co., Ltd.
11YRSHebei Jinshi Industrial Metal Co., Ltd.
Hebei Jinshi Industrial Metal Co.,Ltd established in 2006,is a wholly-owned private enterprises with 5000000 registered capital, and 35 professional technician. 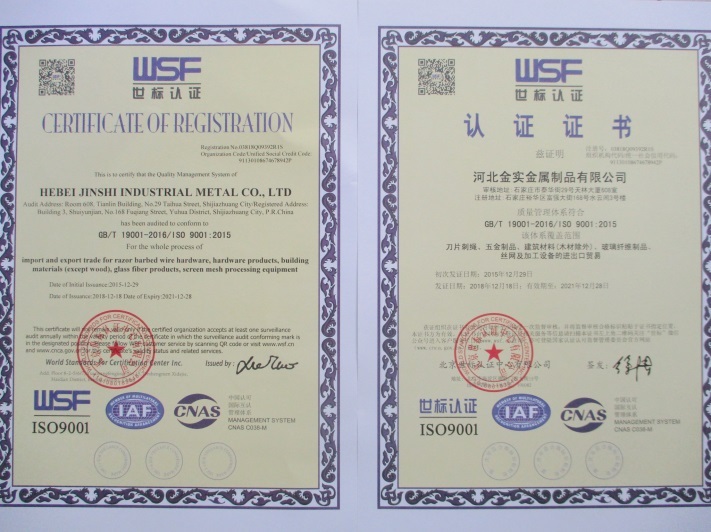 all products have passed ISO9001-2000 international quality management system certificate and CE certificate. 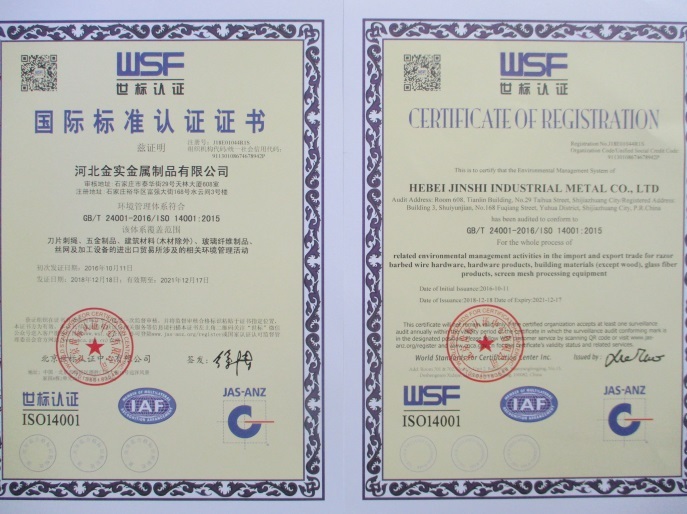 We win the title of "ollowing contract and observing credit enterprises" and the "A-class tax credit units".Hebei Jinshi Industrial Metal Co.,Ltd is engaged in the product research and development, processing, production; and is the professional enterprises. Main products are: all kinds of wire, wire mesh, garden fence ,T/Y post,gabions metal cages, nail ,steel pipe, etc, including twenty series products. 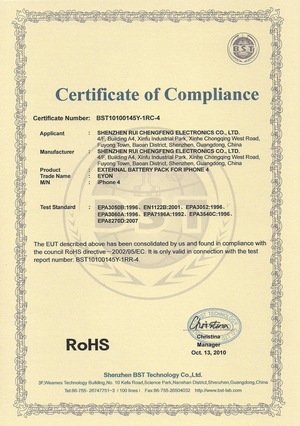 The products are mainly exported to Middle-East, Africa, Southeast Asia, Russia, America, etc.Our company adopts the advanced ERP Management System , which can be effective in cost control and risk control,optimize and change the traditional process, improve the operating efficiency, the full realization of "Collaboration", "Quick Service." 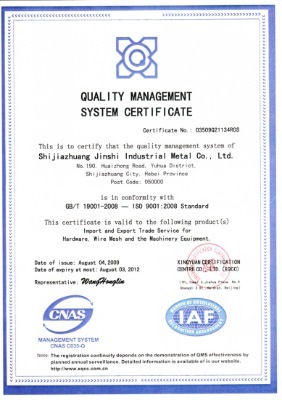 "Agile Handling".The aims to JINSHI: honesty is the cornerstone, quality is the assurance, a win-win situation is the goal. 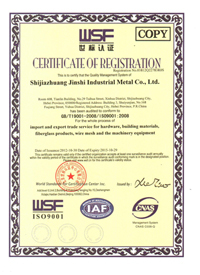 trust-building at the first cooperation , satisfaction formation after the first services .The staffs of JINSHI are willing to join hands with you to creat brilliant future by our wisdom, character and product. 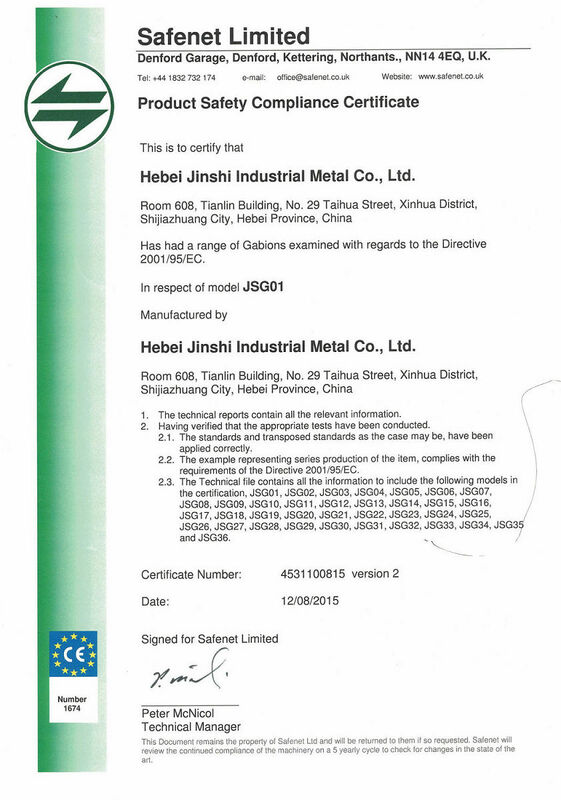 has had a range of angle beads examined with regards to the directive 2001/95/EC. 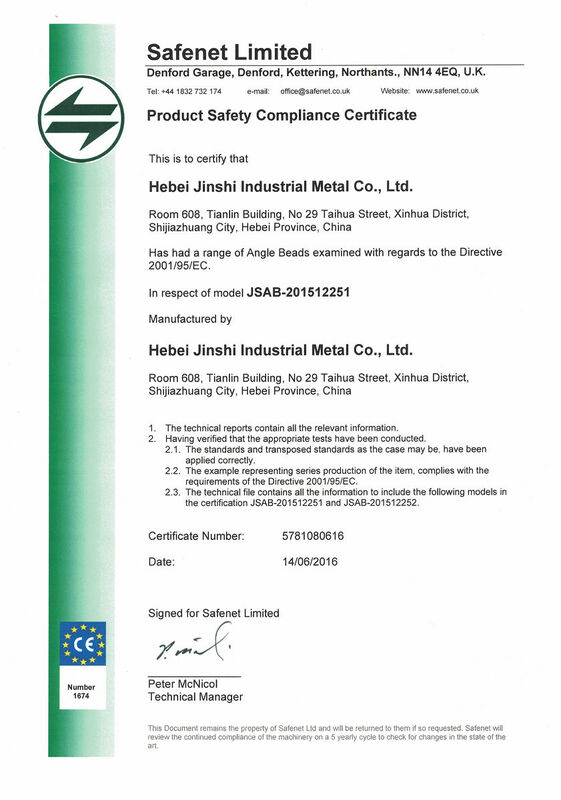 Import and export trade for barbed wire,hardeare products,building materials(excluding timber)fiberglass products,wire mesh and processing machinary and related environmental management activities in the involved sites. 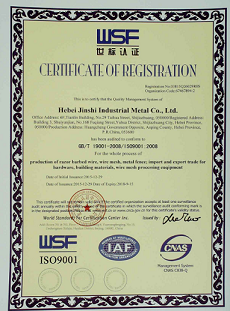 Production of razor barbed wire,wire mesh,metal fence,import and export trade for hardware,building materials,wire mesh processing equipment. World Standards for Certfication Center Inc.